Apollo and Artemis. 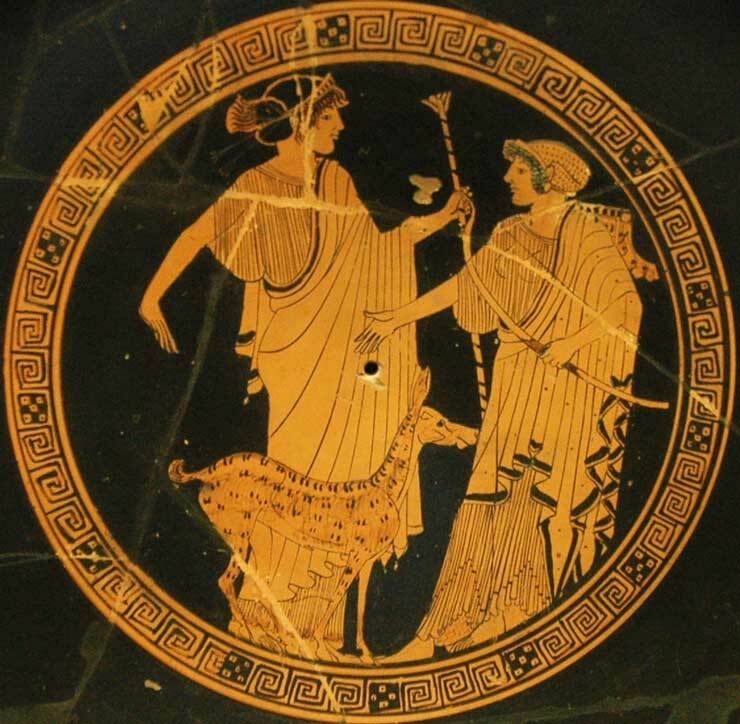 Tondo of an Attic red-figure cup by Brygos, potter, and the Briseis Painter, ca. 470 BC.